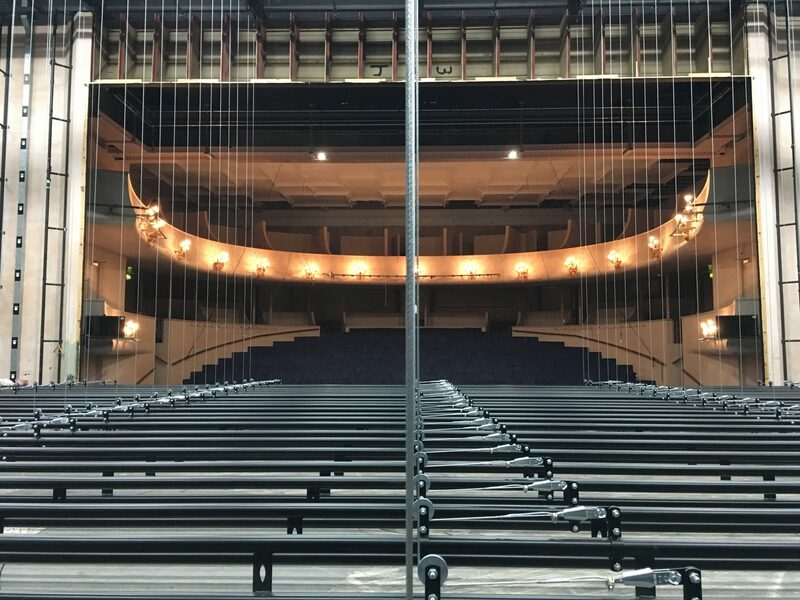 Following the departure of Grange Park Opera from Hampshire, Push The Button were delighted to work with Michael Moody and his new team at Grange Festival Opera to refurbish the mechanical and electrical systems at this unique venue. 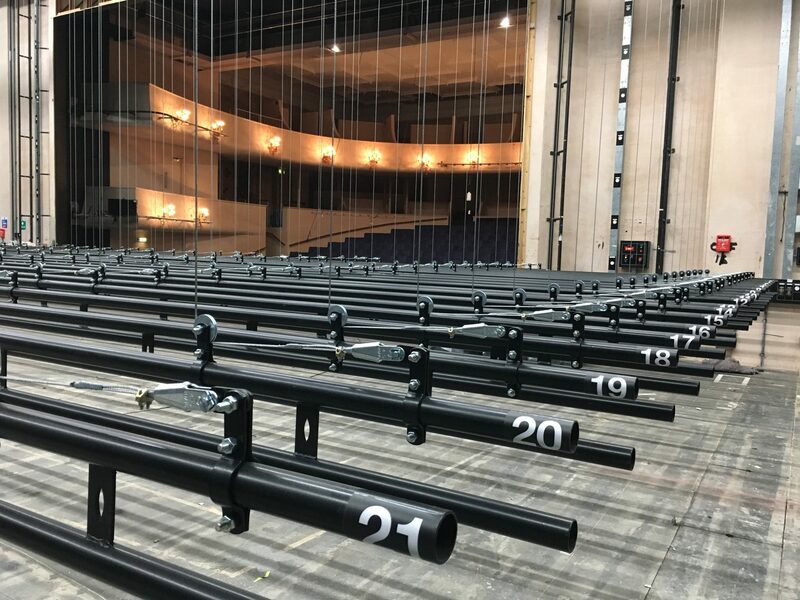 Works included a new 25 line set motorised flying system, fibre optic cable distribution, dressing room show relay and a stage managers desk. The works took place between January and May 2017 enabling the newly founded theatre company ample rehearsal time for their inaugural season.